Since this week the Bordoverview website opens with the 2007 vintage, instead of 2006. With the ratings from the Decanter team, one the first sources to present its scores. On Bordoverview you only find the numerical scores (which can be sorted and filtered in every desired way), to see the tasting notes behind these scores be sure to check out the Decanter website. A striking score again for Le Dôme, the St-Emilion Grand Cru 2.85 hectares garage wine from Jonathan Maltus. 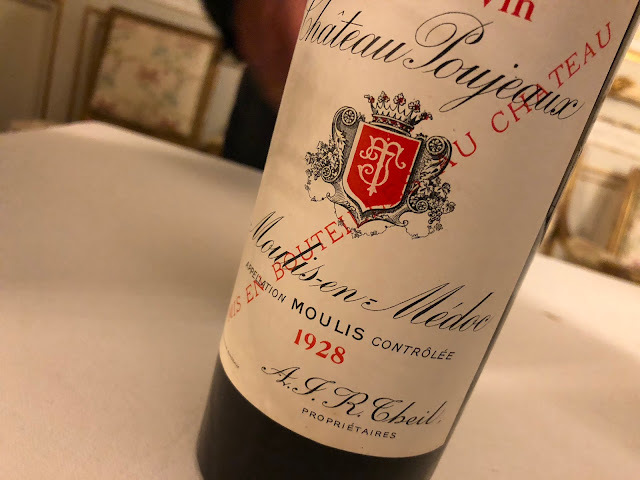 Steven Spurrier must love this wine: for all four vintages presented on Bordoverview this wine is granted five stars, the only other wines who received four five stars in row are the 1st classed growths Haut-Brion, Lafite and Margaux. Also Maltus' other St-Emilion wines are very well received by Spurrier: especially the micro-cuvées Les Astéries (1 hectare) and Le Carré (1.6 ha), and also the slightly bigger Château Laforge (5.7 ha). The consulting oenologist hired by Maltus is Gilles Pauquet. This week the data for the consultant-oenologist column have been updated extensively, and by filtering (clicking) on a person's name, you can directly see which wines are made under his of her supervision. A very interesting view for example is the list of châteaux being advised by Michel Rolland. But also the list for Jacques Boissenot is impressive. How not to interpret this information: all these wines are more or less the same. The correct interpretation: the choice for an oenologist tells you something about the style of the wine. But I must say, there really aren't that many oenologist... so the risk of some uniformity is not inconceivable. To put it mildly. But let's not get into that at this moment. I simply invite you to discover the new Bordoverview with its new features and data. And see for yourself which Bordelais are making which wines. It's quite a small world, actually.